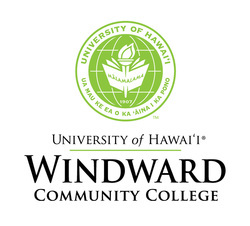 Windward Community College's award-winning student newspaper, Ka ‘Ohana, can be used by teachers as examples of journalistic writing and photography. ACT Compass® Writing Skills Test Writing Skills Placement Test is a multiple-choice test that requires students to find and correct errors in essays in the areas of usage and mechanics, including basic grammar, punctuation and sentence structure, and rhetorical skills, including strategy, organization and style. HyperGrammar is a grammar resource site, created by the Writing Centre at the University of Ottawa. The Purdue Owl is created and maintained by the Online Writing Lab (OWL) at Purdue University. It houses writing resources and instructional materials. The Writing Resource Web Site, produced by Kamehameha Schools Virtual Strategies and Distance Learning. The National Council of Teachers of English promotes the development of literacy from P-20. Search their website for resources and opportunities for professional development. The Hawai‘i Council of Teachers of English (HCTE) is the local affiliate. WCC Programs for High School Students. Early Admission-Running Start is a state-wide program that provides an opportunity for academically qualified juniors and seniors enrolled in a Department of Education school (including charter schools) to enroll in college classes through the University of Hawai‘i system as part of their high school coursework. Does not include homeschoolers, and non-DOE high schools. Upward Bound works with high school students grade 9-12 to build the skills and motivation necessary to finish high school and succeed in college. Header Photos (left to right): 1. Students can enjoy WCC’s award-winning Library Learning Commons. 2. Sisters Kekai and Kili celebrate their WCC graduation with associate in arts degrees. Kekai is pursuing a career in elementary education at UH-Manoa. Kili is WCC’s first certified nursing assistant (CNA) graduate to enroll in Kapiolani CC’s nursing program. 3. Students hard at work in one of the college’s science labs.